Azeem Ali is a specialist in Personal Injury, Credit Hire, Consumer Credit and Contract work. He is based in Manchester with a practice that takes him nationwide. Azeem is a specialist in personal injury. He regularly conducts cases involving fatal accidents, very serious injuries, dental injuries and whiplash type injuries. Having completed a large volume of advices over the years, he is considered to be an expert in providing solicitors with views on valuation of cases, and also tactics and strategy, particularly in cases which may continue for many years. He has a wealth of experience in understanding when it is correct strategically to settle a case and when it is better to “hold out” for longer. He also specialises in compiling complex schedules of loss or damage often leading to very successful results. At the outset of his career Azeem was instructed to provide new and interesting ways of arguing points on insured hire subrogation and its “sister” area of credit hire. He was involved in test cases and his experience in these areas has grown from strength to strength to the point where he is now considered an expert in this specialist area. He has recently dealt with, and was led by Andrew Edis QC, in a national credit hire test case on "cancellation" notices - Salat v Barutis. 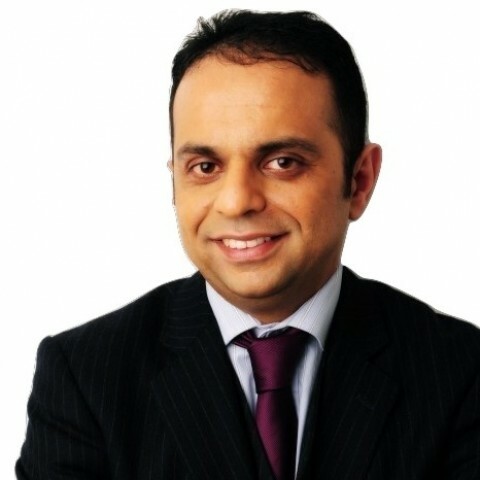 Azeem has defended a variety of clients involved in disputes with banks concerning signed consumer credit agreements. He has a wealth of knowledge of the Consumer Credit Act and its various satellite legislation, which he has successfully used to defend clients being sued for vast amounts of money by banks. He has found that in cases where a consumer has signed a consumer credit agreement, there is almost always scope to argue substantial points for the consumer. Azeem has substantial experience in contract cases generally, and commercial cases in particular. Azeem is known for being extremely hardworking, dedicating himself entirely to any case he is involved in. He does not confine his mind simply to the set instructions his solicitor provides but thinks “out of the box” of other ways to benefit the client. He understands the value of this to busy solicitors. The completion of an advice, schedule or an interlocutory hearing does not mean that Azeem Ali considers that the case has ended, his mind will always be “ticking” away on the case until conclusion, which he has been told can be invaluable to those instructing him. Azeem considers himself to be “user friendly” and a “people’s person”, a barrister which a solicitor can deal with in a relaxed manner. He is told that his interpersonal skills mean his instructing solicitor can feel confident in introducing clients of widely different character to him. He aims to be as accessible as possible to his professional clients and encourages them to phone him if they have any questions about a case outside any formal instructions. He believes that a strong partnership between barrister and solicitor is essential in order to provide optimum value for money and the best possible outcome for any client. He has built many strong professional relationships with his regular instructing solicitors over the years and strongly believes that any instructing solicitor should feel relaxed when instructing him. Azeem is married with a young family and says nothing beats spending time with his two young daughters and son! He also enjoys going to the cinema and gym when time permits. I would like to recommend Azeem [Ali] for his services as a barrister and advocate. Azeem has handled several hearings for me and I have been impressed by his professionalism coupled with determination to get to the result that we want. Azeem also has a friendly and personable approach and I am very grateful to him for his hard work on the cases he has dealt with for me." A first class barrister [Azeem Ali], indispensable for credit hire issues. An excellent Barrister who always achieves the best result possible. By far the best I know in Consumer Credit matters, Contract disputes and Personal Injury. I would recommend Azeem Ali to anybody looking for an exceptional Civil Barrister. Outside of these key areas of law, Azeem Ali (1997) is always willing to consider any enquiry requiring the experience or knowledge needed to help you or your client. Please call Azeem direct or the support team on 01823 247 247 if you would like to discuss any aspect of this profile. 3. I, Azeem Ali, have been instructed by you or your litigation friend (usually a parent), through your solicitor or agent, or via the Bar Pro Bono Unit.